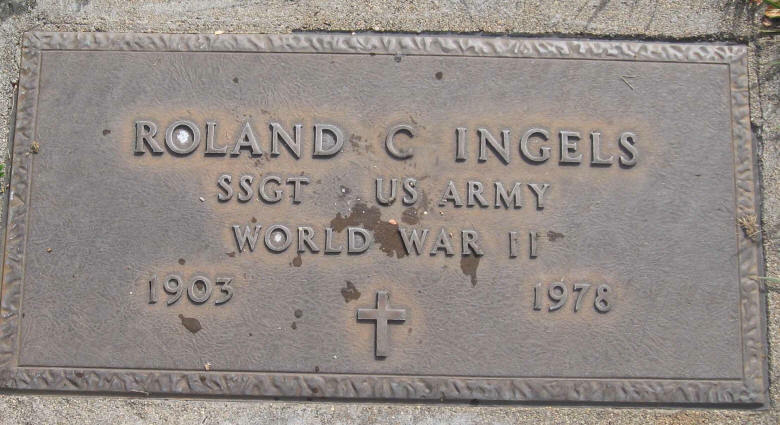 Born -- INGELS -- at Monterey, Oct. 6, to the wife of Clyde L. INGELS, a son. Roland C. Ingels, 74, former Monterey City Councilman and lifetime resident of Monterey, died Thursday at his home af¬ter a short illness. Born Oct. 6, 1903, in Monterey, he attended grammar school in Monterey and Corral de Tierra and high school in both Monterey and Salinas and spent his childhood at the family home in Corral de Tierra. He was a vice president of the Bing Crosby Youth Fund and served as a Monterey City Council member from 1951 to 1955. He was also an Army veteran of World War II and saw action in North Africa. Mr. Ingels was a life member of Monterey Elks Lodge 1285 and had recently received his 50-year pin. He served as past state vice president of the Elks as the lodge's district deputy grand exalted ruler for its West Central District of California. He was also a member of Masonic Lodge 217, F&AM, of Monterey, the Scottish Rite of San Jose, Islam Temple of San Francisco, Monterey Peninsula Shrine Club, American Legion Post 41 of Monterey, Veterans of Foreign Wars Seaside Post 8679, the Noncommissioned Officers Association of the United States and the Paisano Club of Monterey. He is survived by his brother, Howard Ingels of Seaside and his sister, Mary Ingels Rivera of Sunland, as well as several nieces and nephews. His wife Josephine died in 1962 and his sister, Elizabeth Gladys Ingels, a former staff writer for The Herald, died in 1975. Private family services were to be held today at 3 p.m. in the chapel of Mission Mortuary, with burial to follow at Monterey City Cemetery. Masonic memorial services will be held Saturday at 11 a.m. from the chapel of Mission Mortuary with Masonic Lodge 217, F&AM of Monterey officiating. The family requests contributions in his memory to the Bing Crosby Youth Fund, P.O. Box 112, Monterey, or to the Shriners Children's Hospital of San Francisco.